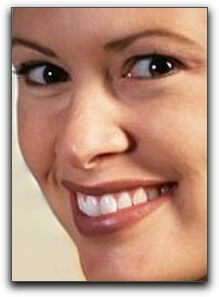 Don’t Settle For An Unattractive Smile In Wetaskiwin! No one in Wetaskiwin likes to settle for less than the best, especially with something as important as your smile. Tim Mahoney DDS at Timothy G. Mahoney DDS in Wetaskiwin has the solutions for your smile problems. You don’t have to live with crooked or chipped teeth. Porcelain veneers are an affordable and non-invasive way to correct misshapen or damaged teeth that are otherwise structurally sound. If you have a tooth that is beyond repair, don’t despair. A dental implant may be the answer. Call 855-416-4959 for a tooth implant consultation in our local Wetaskiwin office. The latest restorative and cosmetic dental procedures are performed right here at Timothy G. Mahoney DDS in Wetaskiwin. I have been practicing dentistry since 1983. I have noticed that my Wetaskiwin patients who receive dental makeovers have only one regret; they wish they would have done it sooner! Leduc and Camrose patients with dazzling new smiles are surprised by how much confidence they gain. Because they love their smile, they smile more often. Come in and see us at Timothy G. Mahoney DDS. ‹ Do I Need A Dental Cleaning If I Brush And Floss At Home?